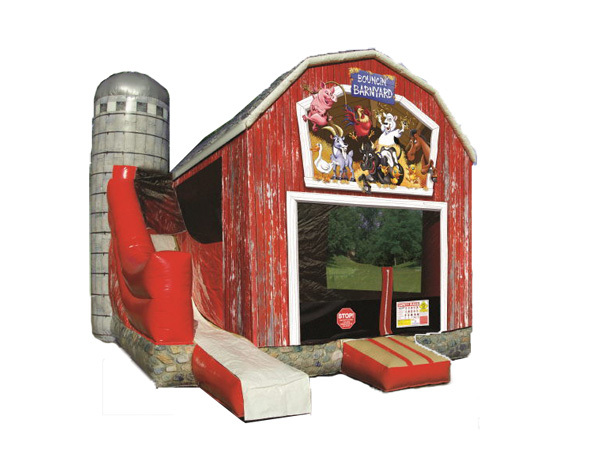 The Barnyard Combo is a bouncer that features all kinds of fun activities! 5-in-One combos feature a moonwalk area, crawl-through, a climbing obstacle, exterior slide, basketball hoop, and a twister mat sewn onto the bouncing surface! * Please call us with any questions about our inflatable barnyard combo rentals in Columbia and Jefferson City MO.